Feeling stressed? Not sleeping well? Low energy? Then why not try a Soundbath? Sacred Sounds have a wonderful way of aiding relaxation, relieving tension from the body thus reducing aches and pains and also calming the mind. 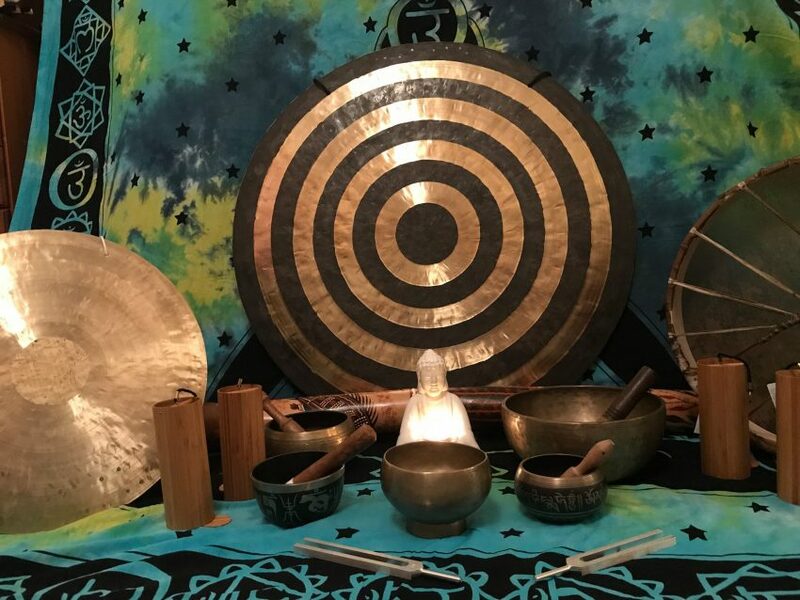 With the help of gongs, drum, didgeridoo, singing bowls and chimes and other sound instruments.I create a deeply enchanting soundscape of sound and vibration that washes through the bodys subtle energy systems, cleansing any negativity and blocks,allowing our vitality to build within. These sounds also capture our attention in a way that needs no narration by the thinking mind. The internal chatter falls away to reveal pure awareness in the moment. Pure bliss. Places may be booked via email or my Earth Echoes facebook page, see below. Payment of £15 pounds may be made on the day.